Instatrip is a place where people can create and share their photo trips, which are automatically generated out of their Instagram photostream. 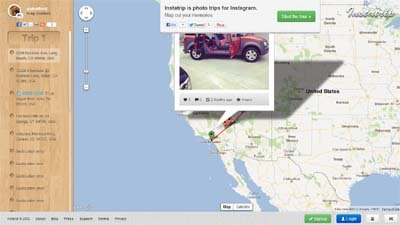 Photos are usually taken out while visiting interesting places and Instatrip now enables users to put these photos on a personal map. It doesn’t have any – yet. We’re simply striving to be the best.